AVAILABILITY: In Stock: Ships From Our Office same business day, via FedEx ground. Designed for management of powered and non-powered fixed and mobile assets, the SmartOne Solar is easy to deploy practical solution for tracking asset location anywhere in the world. The SmartOne Solar is the next generation of Globalstar’s industry-acclaimed SmartOne product line. While operating on one of the most modern and fastest satellite networks in the world and powered by the sun, this IoT device provides excellent remote monitoring and tracking capabilities. The SmartOne Solar’s NiMH rechargeable batteries deliver up to 10 years of life, drastically reducing maintenance time and cost for labor and parts. It lets users intelligently configure reporting times and intervals for custom information delivery. 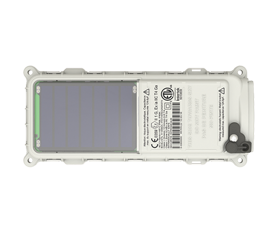 The SmartOne Solar is certified Intrinsically Safe with unparalleled safety/device certifications such as ATEX Class I Zone 0: Division 1, OSHA Hazard Location Classification of Class 1, UL 60079-0, CSA STD C22.2, IP69K, HERO (Hazards of Electromagnetic Radiation to Ordnance) and others to meet the needs of every application. Let the SmartOne Solar streamline your M2M operations today. Wake, GPS Locate, transmit location, resume sleep settings, 12 programmable sleep time-of-wake settings. Message on start/stop. Engage interval override on motion for set time or while in motion. Supervisory reporting schedule triggered by alarm or motion. 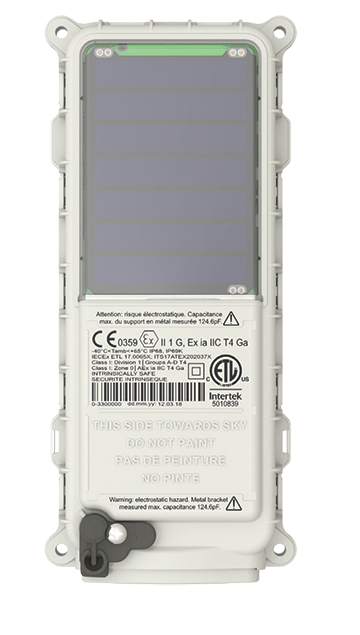 Transmits GPS location on the interval for programmed time or while alarm remains active. Theft-alarm reporting based on distance moved. Reduced messaging mode. The network consists of 32 Low Earth Orbiting (LEO) satellites that are constantly orbiting the earth and complete their orbits in less than 2 hours. Because of this, the SmartOne will be in contact with at least one of the satellites during each scheduled transmission. In LEO communication networks, the satellites are constantly changing their positions in the sky relative to the transmitter on earth. This minimized the shading effects seen in geostationary satellite systems where the mobile device must be pointed toward a specific direction in the sky. Geostationary satellites also orbit at a much higher altitude and move along the equator. 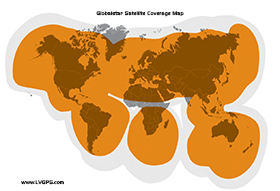 Messages are transmitted from the SmartOne via the Globalstar Satellite Network using an uplink-only connection (one-way data transmission) and received by a Globalstar Ground Station. The messages are then sent via the internet and received by the LiveViewGPS Application Server and converted into actionable data viewable in your password protected secure account area. LiveViewGPS will program, set-up and send you the SmartOne C, per your configuration choice. When you are ready, let us know and we will activate your service. You would then just need to Turn the device on, and you are ready to start tracking. Intrinsic Safety Certifications: ATEX/IEC Ex ia IIC T4 Ga, AEx ia IIC T4 Ga For International Zone 0 applications, IECEx, OSHA Hazard Location Classification of Class 1, UL 60079-0, CSA 22.2 No. 60079-0, CSA 157-92 (Class1 Div1), HERO, EX COMPONENT, related to schedule drawingt 84128. Certifications: FCC, ISED, CE, ANATEL, IFT, JQA, AUS/NZ CISRP 22. Overages are billed at .17 cents per message. Have A Question About "SmartOne Solar Asset Tracker" ?